Saint Mark’s Square is Venice’s undisputed symbol and the most beautiful square in the world. This guided visit with one of our guides will help you discover the origins and the history of Saint Mark’s Square and Basilica, the Doge’s Palace with its thousand years of art, history and power as the Hall of the Great Council, the Hall of the Senate and the Hall of the “Collegio” with its famous wall-paintings by Tintoretto, Tiziano and Veronese, bear witness to. 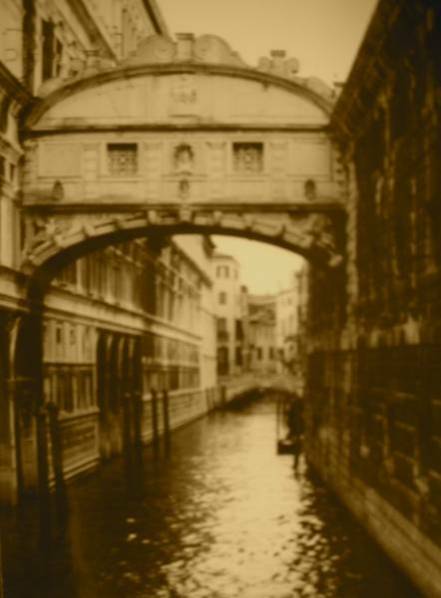 There is also a visit of the Prisons and the Bridge of Sighs. The tour lasts approximately 3 and a half hours. * People wearing shorts, short skirts or sleeveless blouses will not be admitted into the churches. The Gondola & Serenade is a journey along Venice's Canali (= Waterways) while local folk musicians and singers perform popular Italian Songs which creates a even more magical atmosphereduring this Tour! The Gondola rides along the Grand Canal and the more secluded and narrow Waterways, and you will be surrounded by the thousand-year old history with magnificent Palaces and a peculiar Culture that culminates with splenid close-up views of the majestic Rialto Bridge. Dinner at 8.00pm Restaurant "Giglio"
Seeing Venice in a gondola going through its small canals and majestic palaces, while musicians and singers perform popular Italian songs, is an unforgettable experience. Trying Venetian cuisine in one of the most renowned restaurants is an experience for your palate, with top quality dishes being served. We have combined these two experiences to please all the senses and to give the tourist the maximum thrill that a wonderful city like Venice can produce. The gondola ride lasts about 40 minutes and the dinner is made up of 2 courses, drinks not included. At the conclusion of your tour, enjoy a two-course dinner (à la carte), drinks not included, in a Venetian restaurant located in the vicinity of Santa Maria del Giglio Square. Shadows of Venice is an itinerary created by an experienced official guide in Venice, and is intended to showcase the most notable highlights of our fascinating city by night. This walk tour lasts about 2 hours and your tour guide (with help of a powerful torch to illuminate the most important sights and details along the way), will illustrate historical facts, quirky anecdotes, legends and lore, mystery and romance, and why not, also the spicier love stories that had Venice as their background. The starting point of the tour is the Clock Tower in St mark's Square. Next, you will walk to Campo Santa Maria Formosa, passing by the palace that was the residence of beautiful Bianca Cappello and the so-called "Angel" Palace. The area around Capo San Giovanni e Paolo is a treasure-trove of artistic and architectural sights:the equestrian monument of Bartolomeo Colleoni and the Miracoli Curch are just two of them. You will see also: Rialto Bridge and the Church of San Giacometto, reputedly one of the oldest in Venice, the Gran canal, La fenice Opera House, Palazzo Contarini. Far from being a pedantic list of things to see, the tour will have an amusing, communicative character, stimulating conversation among the participants, and will include a stop for drinks with your tour guide in a typical venetian pub or club. 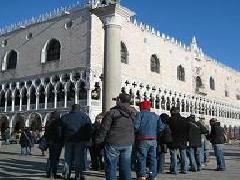 THE BEST VALUE IN TOURS OF VENICE FOR THE FIRST-TIME VISITOR! 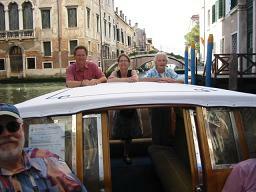 Combine our excellent Venice Walk with our popular Grand Canal Boat Tour. SEE ALL THE MUST SEE SIGHTS OF VENICE IN 1 DAY! 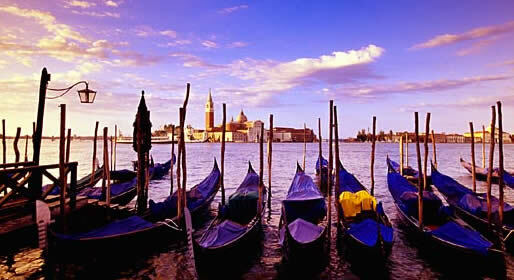 Our Venice in 1 Day package is the best value in tours & excursions of the city of Venice! In two very different & diverse tours you'll have a thorough introduction to the city of Venice! The package offers flexibility through which you can adapt the tour itinerary to suit your own schedule. 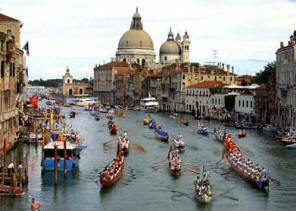 The two featured tours; Venice Walk & the Grand Canal Boat tour can be taken in a day or over a two-day period. So if you arrive late into Venice you can take the Grand Canal Boat Tour at 4.30 p.m. on the day you arrive and the following day take the walking tour of Venice. 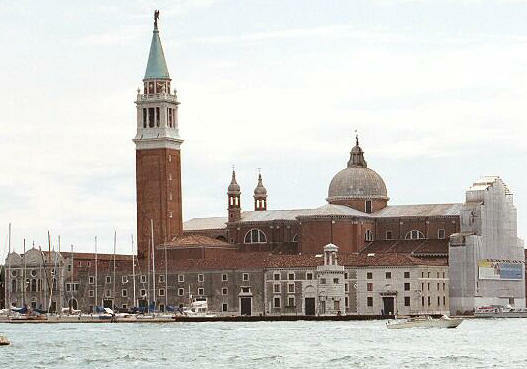 AT 11.10 a.m. OR 2.00 p.m. - VENICE WALK- Visit St. Mark's square and learn the history that lies behind the walls of its most famous landmarks; the Basilica an its Byzantine heritage, the Doge's Palace and its adjoining prisons, that retain the true secrets to comprehend how a city built on swamps became one of the most enlightened cities in the western world. Then, leave the square and crowds behind to discover the "real Venice", enter a labyrinth of narrow passageways and alleys where an enchanting city of meandering canals punctuated by delicate bridges awaits you. Explore the lively Campo Santa Maria Formosa with its outstanding Gothic Palaces and at the Scuola di San Marco learn about the famous trade schools of Venice that provided the foundations of the great mercantile empire. And, through the sights and historical narrations learn how illustrious Venetians, the likes of Marco Polo, and more common citizens made this city of stone a vibrant and magical place. See Marco Polo's House and enjoy tales of this legendary globe-trotting Venetian. Admire the Church of San Giovanni e Paolo "the Pantheon of Venice", enter an old merchants warehouse and see the most beautiful well-head in Venice. Before finishing the tour near the Rialto bridge. And, of course, discover how Venice is today and how it is to live in the most unique city in the World, though not the most practical. 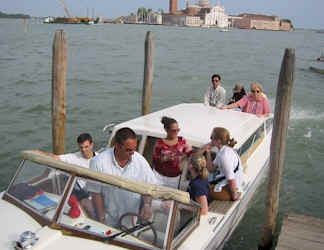 AT - 4.30 p.m. - GRAND CANAL BOAT TOUR - Enjoy a relaxing and rewarding cruise along the Grand Canal where you'll learn the history and stories about the stunning palaces and churches that line its banks, as well as a few anecdotes about the famous people who have along Venice's most important street. Including a glass or two of sparkling Prosecco wine, you'll also have a fascinating tour of the minor canals of Venice to complete your Venice in 1 Day package. AN ABSOLUTE MUST FOR THE FIRST-TIME VISITOR TO VENICE! St. Mark's and its famous landmarks, Interior of St Mark's Basilica*, Marco Polo's House & Legend, Pantheon of Venice, Merchants Warehouse, Architecture of Venice, and a journey through the labyrinth of the Hidden Venice. Tour finishes at the Rialto Bridge. 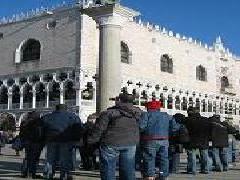 WE HAVE RESERVATIONS FOR ST. MARKS BASILICA TO AVOID STANDING-IN-LINE! 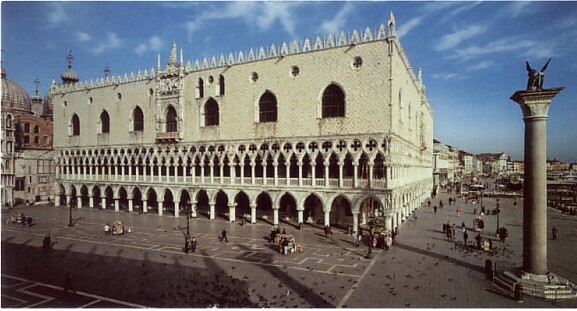 Visit St. Mark's square and learn the history that lies behind the walls of its most famous landmarks; the Basilica an its Byzantine heritage, the Doge's Palace and its adjoining prisons, that retain the true secrets to comprehend how a city built on swamps became one of the most enlightened cities in the western world. Then, leave the square and crowds behind to discover the "real Venice ", enter a labyrinth of narrow passageways and alleys where an enchanting city of meandering canals punctuated by delicate bridges awaits you. Explore the lively Campo Santa Maria Formosa with its outstanding Gothic Palaces and at the Scuola di San Marco learn about the famous trade schools of Venice that provided the foundations of the great mercantile empire. 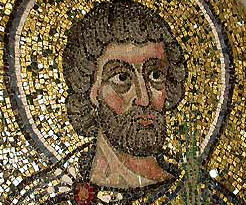 And, through the sights and historical narrations learn how illustrious Venetians, the likes of Marco Polo, and more common citizens made this city of stone a vibrant and magical place. 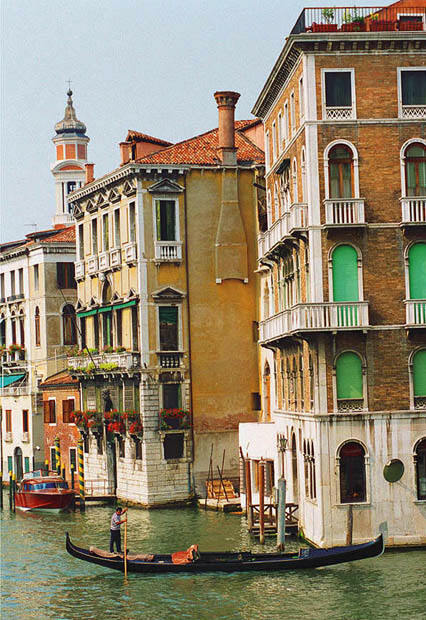 See Marco Polo's House and enjoy tales of this legendary globe-trotting Venetian. Satisfaction Guaranteed! We have special permission for our groups to enter the Basilica without having to stand-in-line for twenty minutes or more. We guarantee a full two-hour tour. 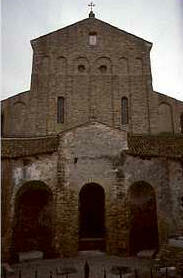 *Sometimes the Basilica is closed to the public because of festivities or high water. BOOK EARLY TO GUARANTEE YOUR PLACE ON THIS POPULAR TOUR - LIMITED TO 8 PARTICIPANTS PER TOUR! Cruise along the Grand Canal & minor canals of Venice in a luxurious motor-launch on a guided tour to discover the true magic of the worlds most beautiful city. Enjoy an intimate and rewarding boat tour of Venice that is an ABSOLUTE MUST FOR THE FIRST-TIME VISITOR TO VENICE! Maximum 8 participants a tour / In English Only! In a city built on water, the best way to appreciate its beauty and uniqueness is on our informative and entertaining boat tour of the Grand Canal & minor canals of Venice. Admire the play of light as we glide along the Grand Canal, the main street of Venice! Our friendly and knowledgeable guides will introduce you to the splendid palaces, churches, bridges, gardens and warehouses that line the Grand Canal of Venice. Traveling in a luxurious motor-launch, along with a glass or two of sparkling Prosecco wine, our boat tour of the Grand Canal will bring alive all the magic of Venice. Learn about the origins and evolution of Venice 's most important street, and afterwards enjoy a fascinating voyage through the minor canals of Venice to see parts of the city seldom visited by tourists. Unlike a ride in a Gondola, on our Grand Canal boat tour you'll travel through many diverse areas of the city through which you'll enjoy a thorough introduction to the city of Venice. Ideal for photographers! On our Grand Canal Boat Tour we use small enough boats to navigate the minor canals, while the boats have enough space for everyone to sit outside to take photographs and to listen to the detailed commentary of our guides. All boats are equipped with microphones and speakers so you can clearly hear your guide. Tour begins and finishes at St. Marks. An absolute must for the first-time visitor to Venice, our Grand Canal Boat Tour will provide you with memories that will last you a life-time. As part of our Venice in 1 Day package, combine our Grand Canal Boat Tour & our excellent Venice Walk to enjoy the best value in tours of Venice. 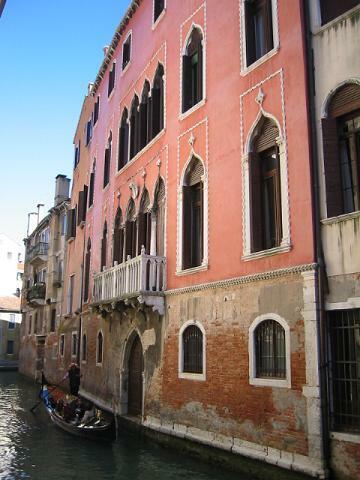 ENJOY A VACATION FROM YOUR VACATION ON OUR MOST POPULAR DAY TOUR FROM VENICE! 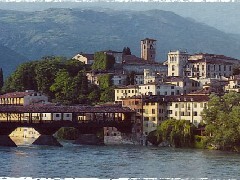 A full day tour exploring the beautiful hill towns of Veneto; Marostica, Bassano del Grappa & Asolo. Framed by the Dolomites, it is a place whose peace, tranquility and natural beauty will provide you with memories that will last a lifetime. 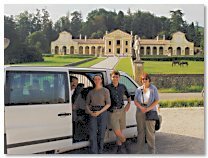 TOUR INCLUDES ENTRANCE FEES & GUIDED TOUR OF THE VILLA BARBARO, WINE TASTINGS AT A LOCAL PROSECCO VINEYARD & A LOCAL LICENSED EXPERT GUIDE TO EXPLORE THE HILL TOWNS. Enjoy a relaxing day in the beautiful hills of the Veneto near Venice, Italy. 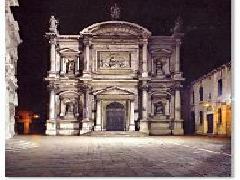 Stroll around enchanting villages and towns, savor the delicious cuisine and famous wines of the Veneto. Designed by your local experts Monica & Jonathan, this tour provides you with an intimate experience of the "Secret Italy". Traveling at a relaxed pace, along scenic back-roads, with plenty of time to enjoy each destination, it will feel as if this tour was designed just for you. Visit enchanting Asolo, the pearl of Veneto, perched on lush-green hills. Along with its delightful gardens and palatial villas, the spectacular views of the surrounding countryside have inspired poets and writers over the centuries. In picturesque Bassano del Grappa, enjoy a guided tour of the town which includes a magnificent Palladian bridge crossing the mighty Brenta river, and a chance to sample some of the local firewater - "Grappa". 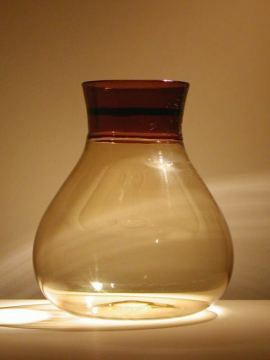 Bassano is also a shoppers paradise; famous for its ceramics, porcini mushrooms and other local delicacies. You'll have free time to shop while we are in Bassano. A tour of Veneto would be incomplete without visiting a Palladian Villa. Visit the Villa Barbaro, one of Palladio's most celebrated works with fine frescoes by Veronese. The price of the tour includes entrance fees and a guided tour of the Villa Barbaro with a local expert guide who'll introduce you to Andrea Palladio & his architecture as well as defining the importance of the Veronese frescoes and the role of the fresco in the decoration of country homes. Veneto is a land of good food and wine. For lunch we have selected a local restaurant, where you can taste the regional cuisine accompanied by local wines. Lunch is optional, but we strongly recommend taking lunch at the quaint little trattoria we visit that offers great value for money, with a great selection of dishes at reasonable prices. Medieval Marostica, with its imposing castle and giant chess-board permanently laid-out in the town square, is where the famous living game of chess is played every two years. The game revolves around a legend dating form the 15th century when the fate of one young lady was decided on the outcome of a game of chess. 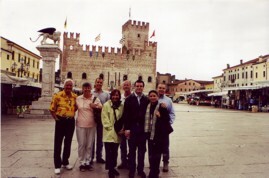 While at Marostica we'll aso enjoy a walking tour of the back-streets of this charming town. Saving the best to last, we finish our day on the Prosecco wine road visiting a local vineyard with stunning views of the terraced slopes thickly planted with vines, where we’ll celebrate our day in the Veneto with a refreshing glass of Prosecco or two. The rolling hills of the Prosecco wine region are quite breath-taking and as you enjoy the wines of one of the most noted producers of Prosecco you'll be enchanted by the sweeping views of the hill country and the distant plains of the Veneto. IDEAL FOR ALL MEMBERS OF THE FAMILY! Enjoy a fascinating walking tour through the dimly-lit backstreets and alleys of Venice, illuminated by numerous Ghost stories & Legends from Venice's past and present. Along with delightful anecdotes about the Venetians and their unique character you'll enjoy a very different tour of Venice. BETWEEN GHOST STORIES OUR ITINERARY INCLUDES MANY ARCHITECTURAL TREASURES OF VENICE HIDDEN AWAY IN THE BACK-STREETS AND SELDOM SEEN BY TOURISTS! Venice by night is a place of romance and mystery. This Ghost walking tour of Venice features an itinerary that will take you on a journey through the hidden Venice where you will not only hear six intriguing ghost stories that will bring a chill to the night's air, but you'll also be entertained by legends of sea monsters and the Venetians themselves that will include the legend of Marco Polo's wife. 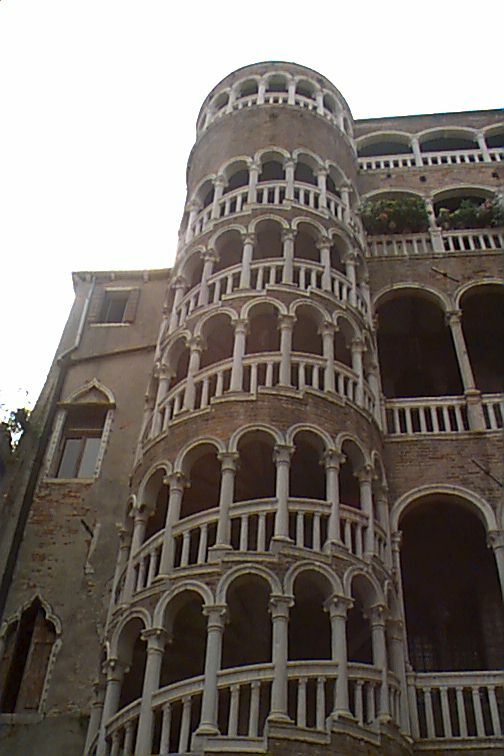 In addition to the ghost stories and legends this walking tour includes an itinerary that will pass-by many architectural treasures that are hidden away in the back-streets of the Hidden Venice. Your adventure will start at the Rialto bridge, from where you'll descend into the labyrinth of the hidden Venice, crossing sleeping canals and abandoned camp, it will feel as if you have Venice to yourself as the only sounds you'll hear will be the echoes of distant footsteps. In between the Ghost Stories, you'll hear other gruesome tales from Venice's past including stories about an old prison where the poor in-mates lived in rat-infested cells that flooded during high tide. 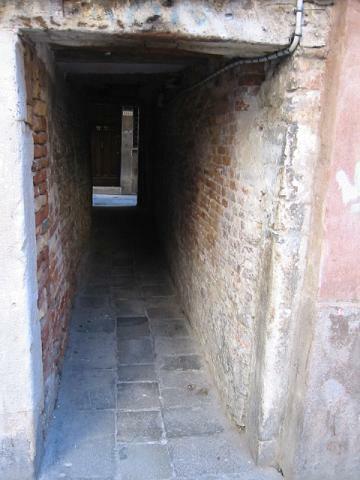 We'll take a stroll along the narrow alleyway called the street of the Assassins to recount the murders that have taken place there, as well as exploring an old camp that use to home to one of the numerous cemeteries in Venice. You'll also explore a secret passageway, one of the few surviving that were used by the inhabitants of palaces to flee from the authorities (subject to water-levels). 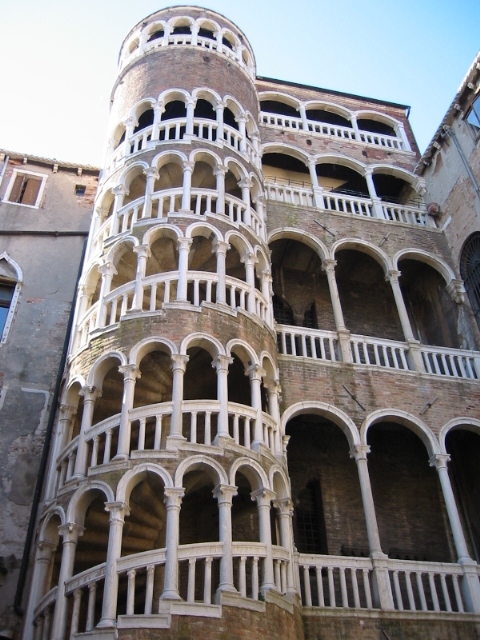 This walking tour will also include architectural gems and follies lost in the back-streets of Venice that will include the delightful Bovolo staircase built for a wealthy Venetian at a time when many Venetians still traveled around the city on horse-back. 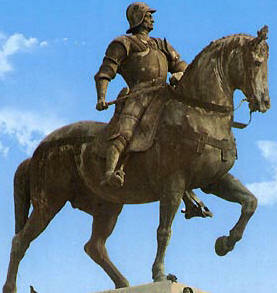 The elaborate staircase enabled the wealthy nobleman to ride his horse up to his private apartments within his palace. Following a winding route through the labyrinth of back-streets you'll enjoy a very intimate experience of the Hidden Venice on this walking tour. An enchanting route with many surprises along the way. 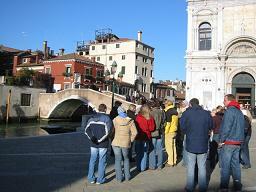 The tour finishes near the Rialto bridge where you'll enjoy a fine view of the main bridge over the Grand Canal. TRY TO BOOK EARLY AS THIS TOUR IS OFTEN SOLD-OUT IN ADVANCE! PLEASE NOTE: As part of our Venice in 1 Day package combine our Venice Ghost Walk with our popular Grand Canal boat tour to enjoy the best value in tours in Venice. A FASCINATING WALK THROUGH THE HIDDEN VENICE! Includes the Rialto Market, Merchants of Venice, Prison for tax evaders, Old artisan quarters, the red-light district of Casteletto, the Hunchback legend, Masterpieces of the Frari Church, and some of the oldest houses in Venice. 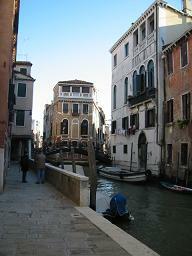 ONE OF OUR CLIENTS FAVORITE WALKS OFFERS A TOUR OF A VERY DIFFERENT VENICE! INCLUDES: Entrance fees to Frari Church not included! 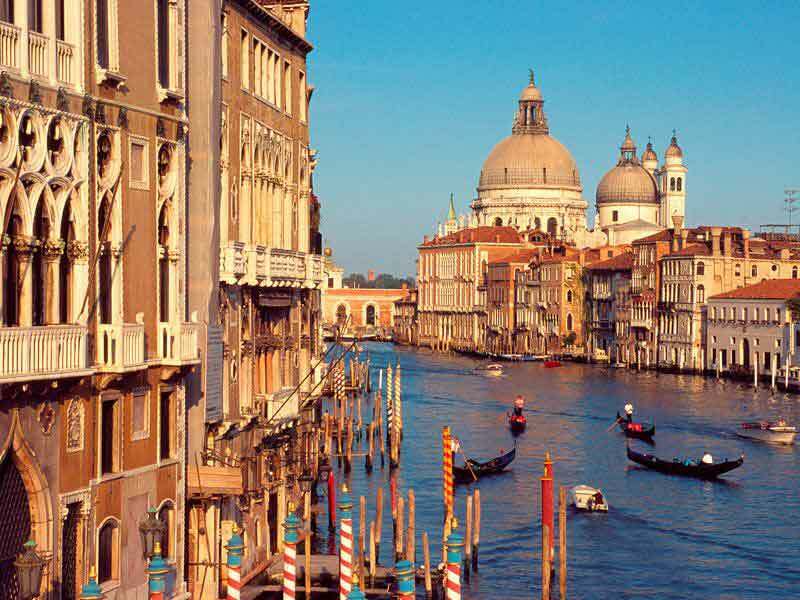 A rich and stimulating itinerary - Venice at its best! One of our clients favorite walks, this is a walk of wonder and discovery of the real Venice, through its past and also its present. Leave the hordes of tourists behind and discover the Venice of your dreams as you navigate a fascinating labyrinth of narrow alleyways punctuated by delicate bridges and enchanting canals. Explore the lively and colorful market area of the Rialto and learn of the legend of the hunchback of San Giacomo. 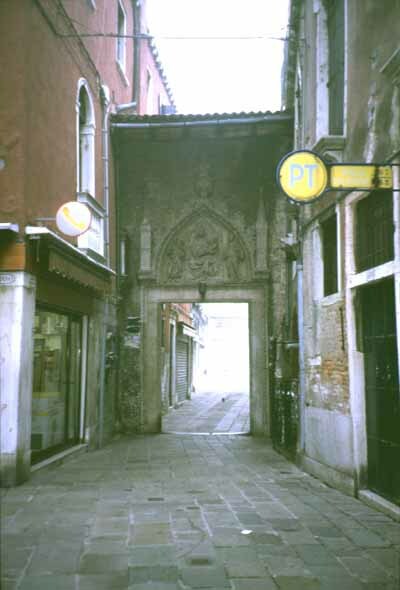 Pass by the old locandas, where the merchants would sojourn and encounter the famous Venetian courtesans in the old red light district of Venice, that is home to the notorious "Ponte delle Tette". Enjoy a guided walk through a labyrinth of streets and narrow passageways in the old artisans quarters of Venice and listen to numerous stories of the illustrious merchants and their acts of cruelty. During this walk, you'll see some of the oldest houses in Venice, quaint picturesque bridges and palaces, an old prison for tax evaders and learn about how life used to be in Venice and how life is today for the modern day Venetians. Visit the important Frari Church, hidden away in the San Polo district of the city, home to masterpieces of Titian & Bellini as well as an imposing funeral monument by Canova. The most important church in Venice after the Basilica of San Marco. IMPORTANT NOTE: As part of our Venice in 1 Day package combine our "Hidden Venice" Walking Tour with our popular Grand Canal Boat Tour to enjoy the best value in tours of Venice. 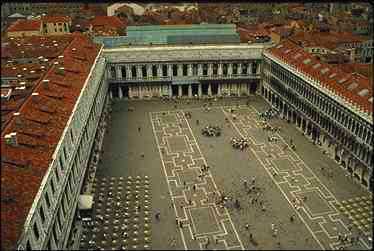 EXPLORE A CITY WITHIN A CITY - THE JEWISH GHETTO! Enjoy a pleasant stroll off-the-beaten track to discover the peaceful residential district of Cannaregio. Home to the Jewish Ghetto which we'll visit in the second half of this walking tour, you'll find that the Cannaregio area of Venice has much more to offer. 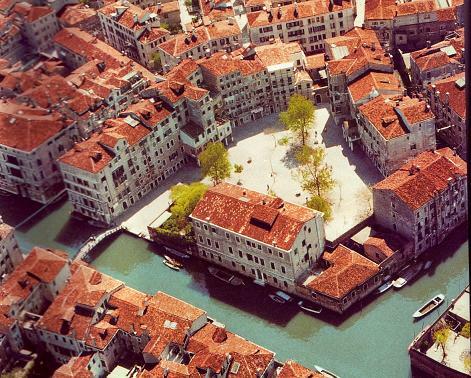 DISCOVER THE HIDDEN VENICE! Every Wednesday at 11.30 a.m.
Tour features: Guided tour of the Jewish Ghetto, Madonna dell'Orto Church, Scuola della Misericordia, Palace of the Camels, Views of the northern lagoon, and the charming residential area of Cannaregio. 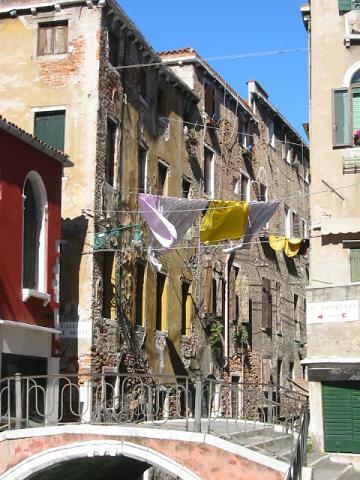 On the Cannaregio & Jewish Ghetto Walking Tour discover the lively and vibrant atmosphere of the most residential part of the city, where the few Venetians left in town still live! Enjoy a pleasant stroll off-the-beaten track through the non-tourist district of Cannaregio. You'll quickly discover that literally the whole of Venice is one giant open-air museum as you encounter imposing Palaces, important churches, enchanting canals and bridges as you make your way through a labyrinth of narrow streets and alleyways to the Jewish Ghetto that lies in the heart of the Cannaregio district of Venice. 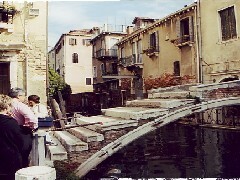 The walking tour through the Cannaregio district includes many detours to encounter homes of famous Venetians like Tintoretto & Titian, delightful anecdotes & stories of past residents of this picturesque area of Venice, along with sweeping views of the northern lagoon where we'll be able to discuss the vital role that the Lagoon played in the history of a city built from fear. After a fascinating walking tour through the Cannaregio district, we'll spend the second part of the tour exploring the famous "Jewish Ghetto". A city within a city, and you'll learn how the Jewish community lived here over the centuries. And what role they played in the history of Venice. Entrances to the Jewish museum and synagogues are not included, as they are strictly controlled by the Jewish community (can be visited after the tour). 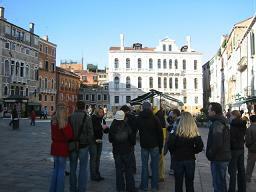 This tour finishes in the Jewish Ghetto, and those wishing to visit the Jewish Ghetto can do so at the end of our tour.